If you’ve seen on social media, I recently switched up my look (I can’t believe I haven’t spoken about this on my blog yet, sorry!). I now sport pink hair! To use the product, you first need to wash and shampoo your hair (don’t condition) before towel drying and combing through thoroughly. Then you can squeeze the dye out and start applying (be sure to wear the gloves included in the box to save staining your hands). I have an awful lot of hair so I used 2 tubes of the product and it took about 20 minutes to apply all over. I left it in for 20 minutes and then washed out before realising I had missed quite a few patches (the worst!) so I had to redo those patches and left in for slightly longer as I found the colour hadn’t taken so well to other places. After leaving in for another 30 minutes I washed it out and I was happy with the colour. 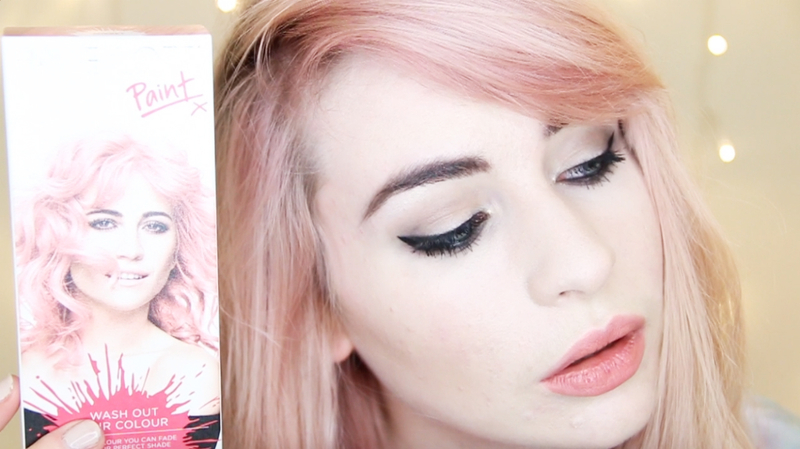 I was super nervous about dying my whole head pink before filming this video but I was really pleased with the results. The shade wasn’t as vibrant as I had wanted (it was more similar to colour it should be when it fades after one wash) which was a shame but it was still a pretty almost rose gold shade. The dye also took more to the roots rather than the ends of my hair. A couple more points – the dye comes out of the tube as a gold shade but this turns pink once applied (bizzare) and the colour only lasted ONE wash which I was really disappointed about. Great for those who want the colour for a special occasion but any longer you’ll need something more pigmented. 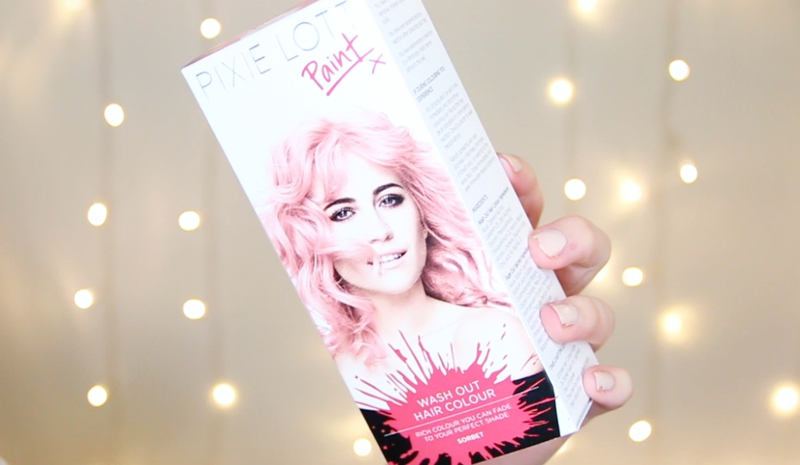 The Pixie Lott paints are currently on offer in Superdrug stores, now £3.99 instead of £5.99! Be sure to subscribe to my YouTube channel to see the next video in this series! What do you think of this shade? 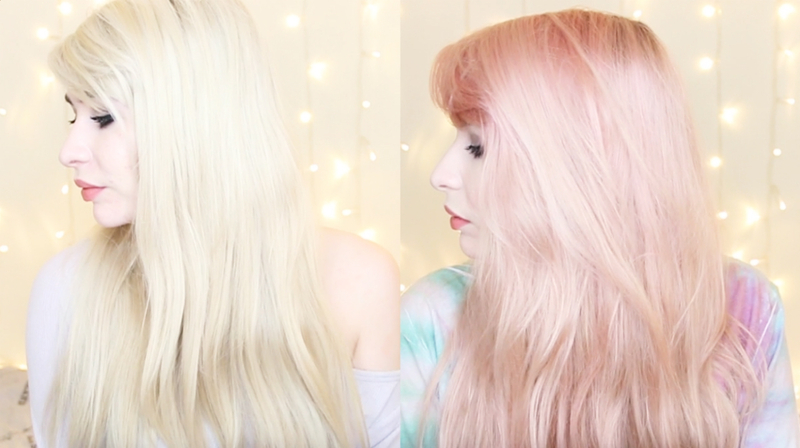 Would you dye your hair pink? I tried to dye the ends of my hair pink using the Bleach London shampoo/conditioner and it didn't take to my hair at all. This seems a nice alternative however my hair gets greasy after 2 days so this wouldn't last long in my hair! Interesting to read this as I've just tried to dye my hair lavender with bleach london and it didn't work at all. It toned my blonde to a cooler tone but didn't put any violet hues in as promised. Disappointing. But now I'm reading online reviews and lots of people seem to say it doesnt work! Trying Pixie Lott next! This colour suits you so well, love it on you! Great video. Wow it looks so good, I would LOVEEEE pink hair so much! Absolutely LOVE it 🙂 A true pink princess. 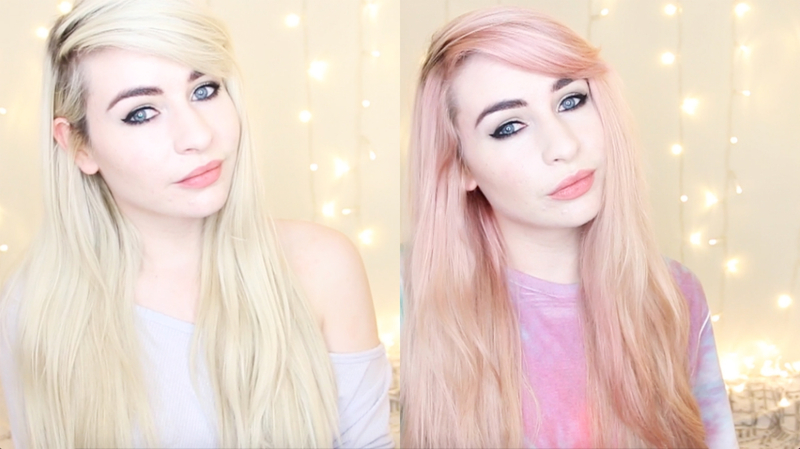 I'd like to see my hair pink, but so far I have only changed its colour in Photoshop.. Your hair looks so nice- the pink proper brings out your eyes as well! Wish I could pull off something like this, looks insane. Hi Katie. Your hair looks properly cared and well maintained. I love the color of your hair, I once dye mine with a light pink. Actually I dye every two months which causes my hair to get frizzy eventually becomes weak and easily break. Now I'm on my third session of hair loss treatment. I miss dyeing. It might have not turn darker because you had light blonde before.